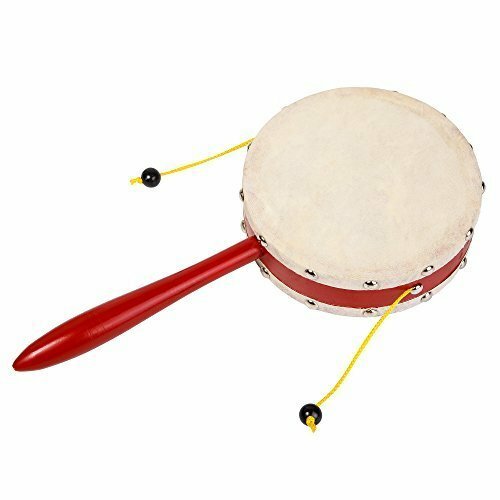 Looking for a new to us instrument we settled on the Monkey Drum which reminds us all of a Karate' movie from years ago. You can play it with two or one hand. My grand daughter had a ball with this one. Every time I use it the look on my face seems like it scares me but it doesn't. It is funny how our bodies react to different things that we come in contact with. The size of this is quite nice with it being 6 inches in diameter. I do suggest if you have children to make sure you are near by just in case one of the beads or strings come loose. You just never know what a child may try to put in their mouths. We are happy with this and my daughter plans to take this to school this year as part of show and tell. The Monkey Drum can be found below.